Okay, here's the thing: I was never a fan of hiking. Back in college, we used to hike for our Ecology subjects, and it was stressful. I'd rather swim in an open ocean than climbing hills and mountains. After college, I climbed two mountains in the Philippines - Mount Pinatubo, and Osmeña Peak, but heck, these aren't one of the country's highest peaks. These two are just, you know, an easy-peasy climb. 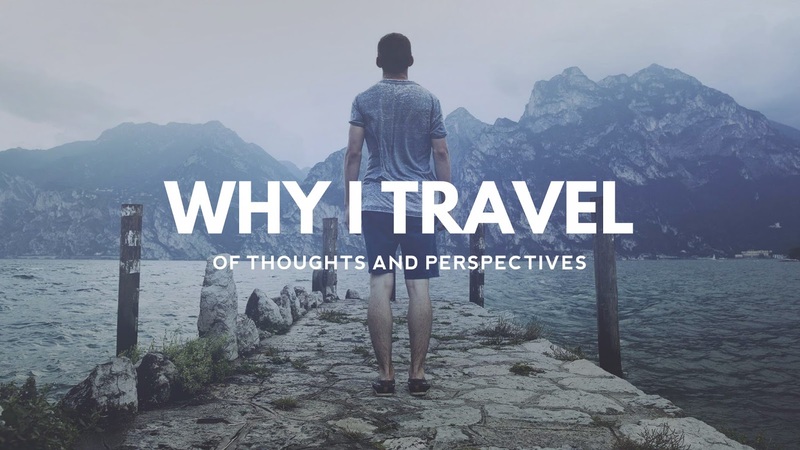 Months before this trip, I originally planned to visit Canberra, the capital of Australia. I have read a lot of blogs about doing a day tour there, but government buildings and flower parks weren't really my thing. 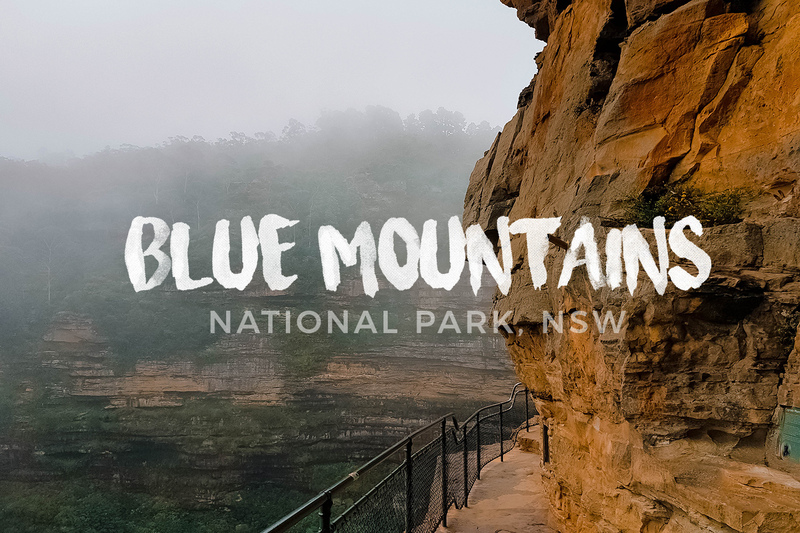 While searching for Plan B, I came across with Blue Mountains National Park. Since I was itching for a new adventure, I thought of giving it a try. Perhaps, it's about time to try new things while I'm still young. 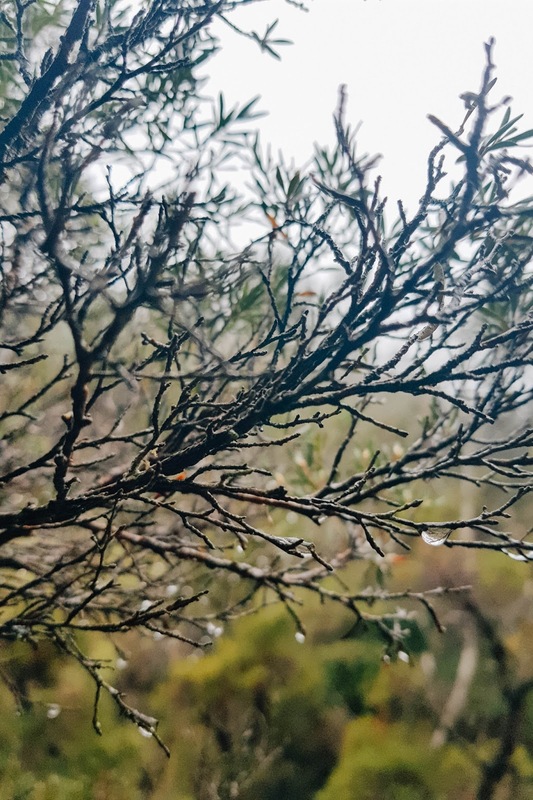 As what the weather app forecasted, it would rain the whole day over New South Wales region. At 14 degrees, one would just chill out at the flat and watch his favorite shows on Netflix all day. But no, I didn't want to waste my time since I only had limited time in Sydney. Thus, I braved the cold, got suit up, and drove all the way to the mountains with my mate. 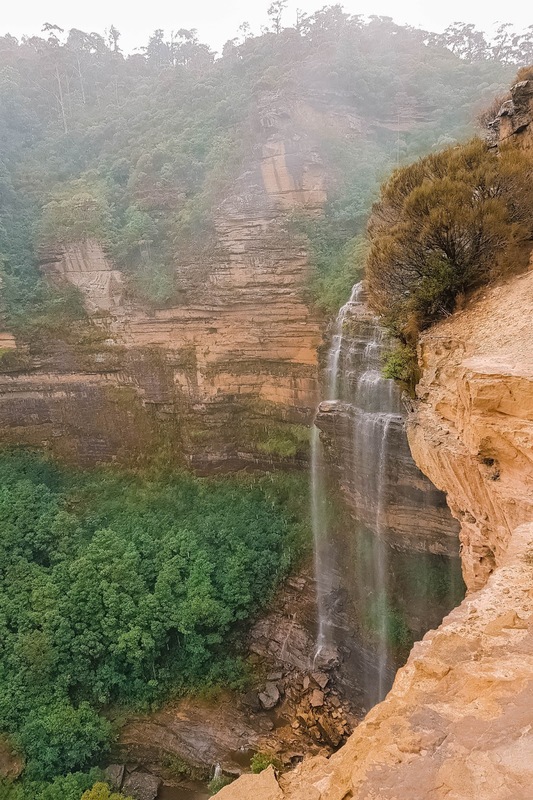 The Blue Mountains National Park is a 90-min drive from Sydney. 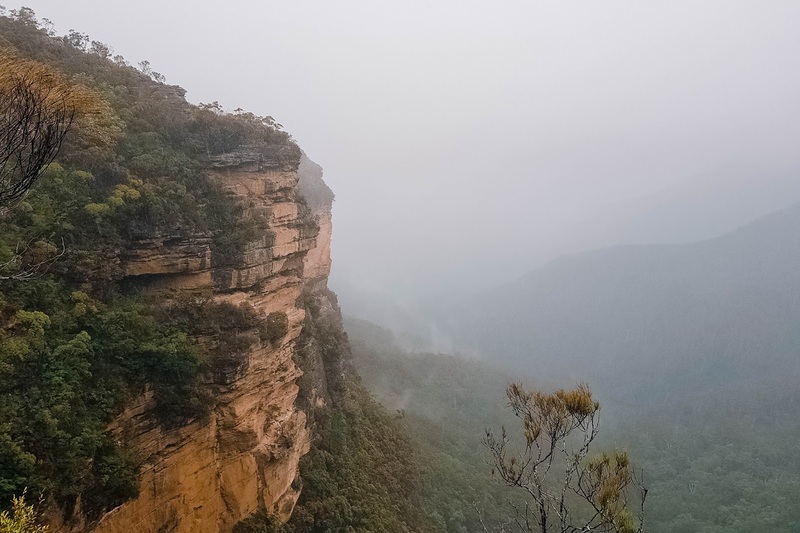 Located near the municipalities of Katoomba and Leura, the national park is known for its steep cliffs, deep gorges, and breathtaking views. The mountain isn't really blue at all - the oils from the eucalyptus trees from the valley create a scattering effect of light, thus the blue haze for which the mountains were named. It was still raining when we left Sydney at around 9:30AM. Fog started to roll from the mountains halfway on our trip, which made driving more challenging. It felt like a scene from the movie, Silent Hill. 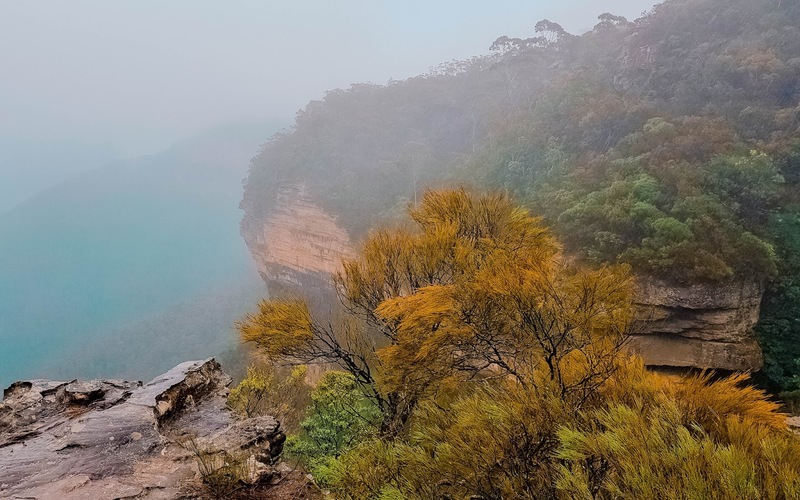 There are two jump-off points to the Blue Mountains: the first one is the Blue Mountain Station, while the other is the Charles Darwin Walk at Wilson Park. We chose the latter since most hikers prefer this route. And oh, it would be an honor to literally follow the footsteps of the famous naturalist who walked this track in 1836. One of the bridges that cross Wentworth creek. Obligatory photo of the hike. 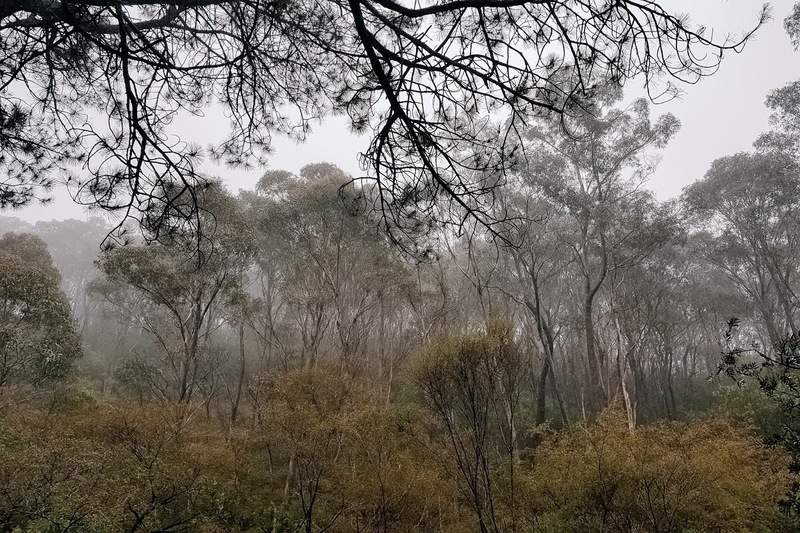 The fog, the forest, and the rain. 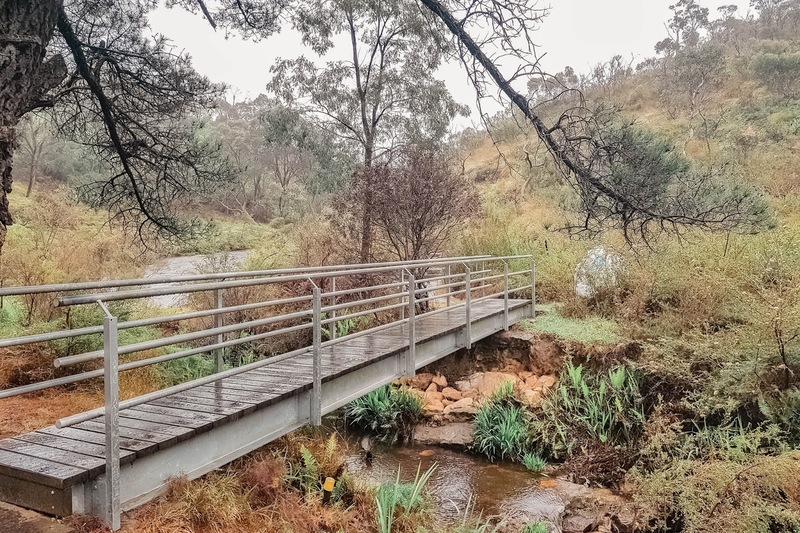 We're almost there to the Jamison Valley lookout! The rain and cold wind did not stop me from trekking. 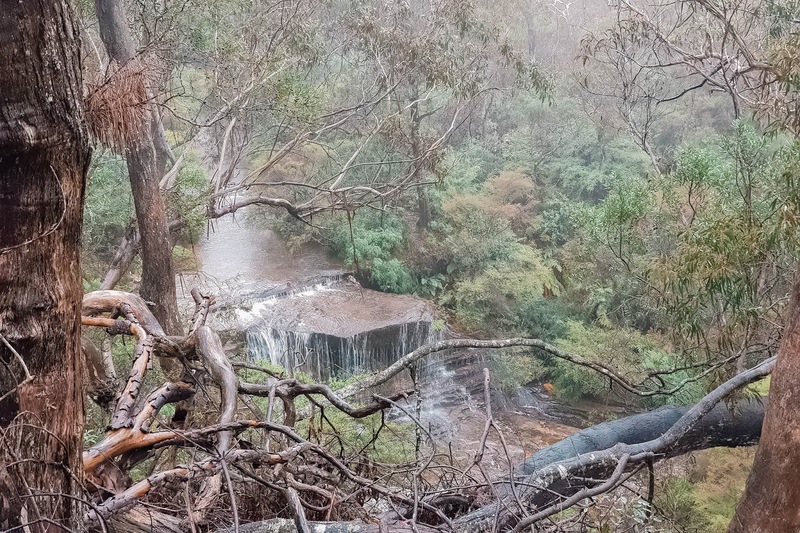 The 2.45-kilometer trail took us more than an hour before we reached Wentworth Falls and Jamison Valley. 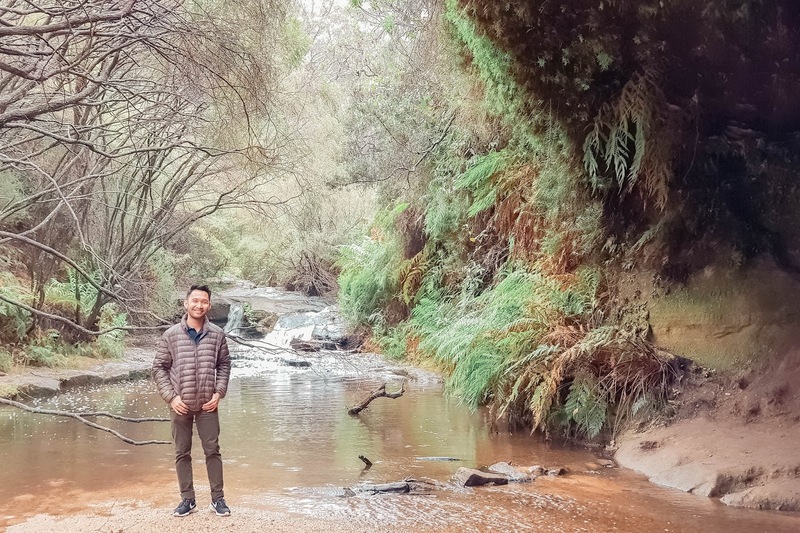 Along the way, we spotted different species of birds and plants that are endemic in Australia. This hike was a breath of fresh air. I know that it isn't really my jam, but during that time, I was enjoying every moment of it. As we went deeper into the forest, the surrounding landscape gradually changed. 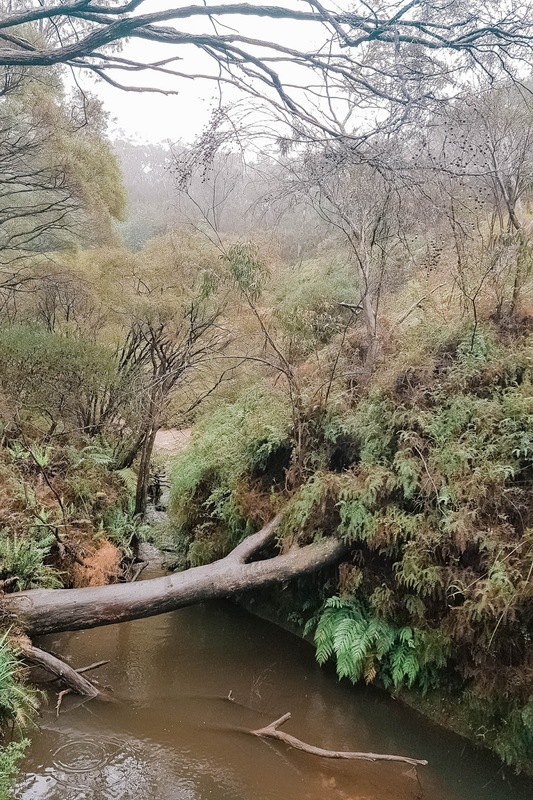 We passed by different streams that are all connected to Wentworth Falls, and some interesting rock formations too. 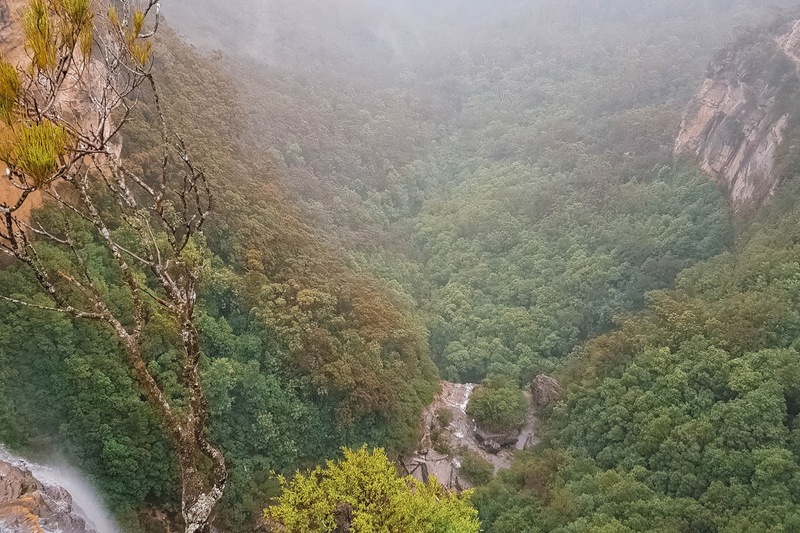 After nearly two hours of hiking, we finally reached the Wentworth Falls Lookout. My God. I didn't know where to start, but the view was just spectacular. The distant fog and rain made it more dramatic. It felt like I was transported back to Cenozoic Era. I was even humming Jurassic Park's opening theme while trekking the trail. No words can describe the beauty of this natural landscape. True enough, it took my breath away. 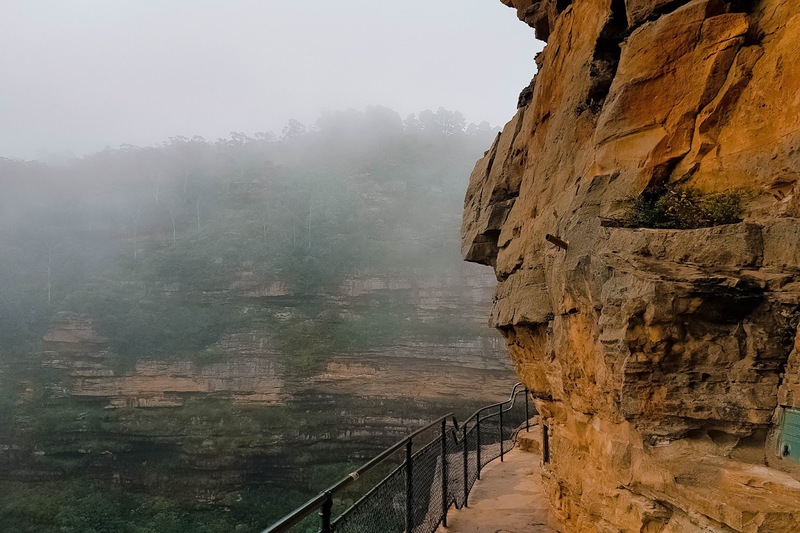 When in Sydney, don't forget to visit the Blue Mountains, National Park. Rain or shine, I guarantee that your visit to this national park will be really worth it. Take it from me who dislikes hiking. Well, the one who used to dislike hiking. People do change for good. Author's note: All photos were taken using a Samsung Galaxy Note 8. The valley and the fog. Echo! Is anybody out there? Don't look down. Just keep going. Drop by at Leura next time! Such a beautiful suburb specially during autumn. You'll see a lot of maple leaves.